300w sub unit designed to work with the entire CMS range. This can function equally well in a 2.1 or 5.1 setting. The high excursion capabilities of the CMS SUB woofer offer tight and controlled bass, able to reproduce even the most minute detail. The CMS SUB woofer was designed to be extremely efficient, to make the most out of amplifier headroom, making sure that you can hear the slightest changes to compression settings. The high excursion capabilities of the woofer will provide you with tight and controlled bass, capable of reproducing even the most minute detail. This will be especially important for those using a lot synth bass, where you’ll want to preserve an intrinsically wide range of individual bass characteristics. Although some tonal/frequency adjustment controls are offered (see on the Spec), as with all the CMS range, the beauty is that they’re set up to work evenly and responsively right out of the box. 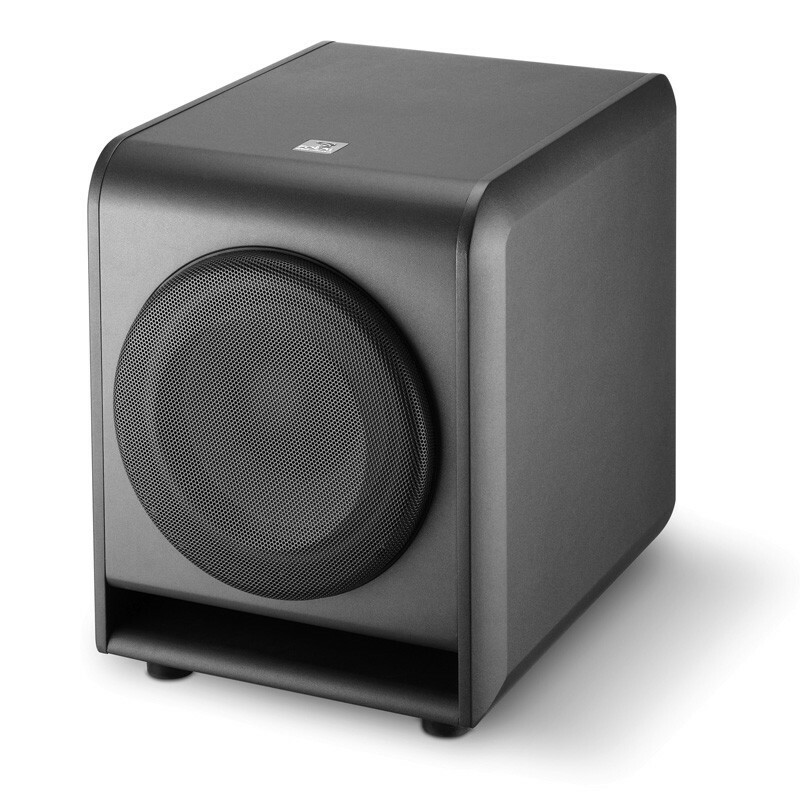 The 11" Polyglass® cone woofer used in the CMS SUB is both very light and extremely rigid for a neutral and distortion-free response. This incredible weight-to-rigidity ratio is obtained by applying a thin layer of hollow glass spheres on top of a cellulose-based cone. Unlike 90% of loudspeaker manufacturers, Focal actually designs and builds all its own components. The SUB achieves its impressive weight to rigidity ratio by applying a thin layer of hollow glass spheres on top of a cellulose-based cone. The cabinet constructed from 1” MDF with internal bracing, housing an 11” Polyglass driver. Polyglass technology is exclusive to Focal, consists in applying molten glass microballs on a cellulose pulp cone. This process combines an excellent paper damping with glass rigidity. The rigidity index exceeds even that of a single skin Kevlar® and is almost ten times superior to one of polypropylene.